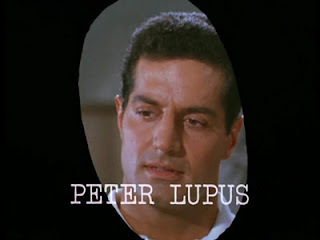 An actor named Peter Lupus. Don't know who that is? Well here let me give you a little information on Peter or Petey as I like to call him. He also holds the world record in weightlifting endurance for lifting 77,560 pounds in just 24 minutes and 50 seconds! He set this record at the age of 75 in 2007! He's also an actor. Most known for his role as Willy on the television show, Mission Impossible and the movie Muscle Beach Party. So why am I talking about Peter? Because I am in love. 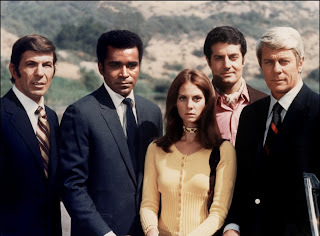 For the past year or so I've been slowly watching the entire series of Mission Impossible (because I love old television shows) and I'm currently on season 5 out of 7. When I started watching season 5, I noticed that Willy (Peter) was missing from a few episodes. At first I didn't think anything about it, then I noticed his name was missing from the credits and that someone new had been introduced to the show. I got very confused. I thought he stayed on with the entire series?!? So as I'm making my way through season 5, he pops up again in an episode and his name was back on the opening credits. My instant reaction, "Yay! He's back!" but then in the next episode he was gone again. That's when I took it to the internet. I figured at the time he might have been working on other projects, body building, etc. and might just not have been able to commit to working the whole season. Uhh... NO! After scouring the internet I found out that he had been bumped down from a cast regular and that his role wasn't deemed not necessary. Umm... what?!?! I love Willy (Peter)! As I kept reading, I found out that there was major fan outcry and that in season 6 he was placed back as a recurring/cast regular once again! Well let me tell you, I'm a happy camper once again! I think it's funny and great that all these years later, that I as a fan was upset that he had disappeared from the show. Apparently cbs/universal studios recognized their mistake and I'm glad to know I'll be seeing more of him as the series plays out! If you've never watched an episode of the original show, you should! Some of the episodes are kinda cheesy and corny but they're good! 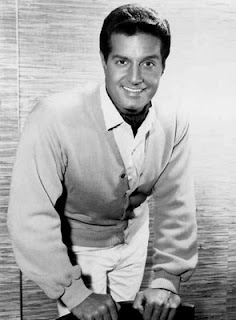 Plus Peter Lupus is a major cutie pie on there. Peter if you ever read this... you have a new fan and if I would have been around in the 60's I would have written a letter to cbs on your behalf! Heck, I still might! Haha! AAAWWW, he is quite handsome! Ha, I'm glad the fans back then felt the same as you. Maybe I will check it out sometime. Have a great trip! Enjoy sunny Florida. You gotta love old shows and movies. PS Let us know about your adventures in Florida! Hahaha! You sound like me and my Adam Baldwin obsession! Very handsome, never heard of him before! I have never watched the old Mission Impossible episodes, but now I think I just might have to! Have a fabulous time in Florida, pretty girl!! Whew! I'm so glad you fave hottie is back in the next season. That would have been a major bummer. i've never seen the tv show of mission impossible. Maybe I'll have to check it out. I love when fan outcry makes a difference. I think that is hilarious! I am currently loving the show Flashpoint! I was angry when they killed off a guy! Crazy how involved we all get! Wow I never knew who he was but I am interested now!! !